Come Explore Music Together ® with Us! When you’re a parent, you want to give your young child the very best. You want to expose them to every possible opportunity to learn and grow. At Pakachoag, this starts with Music Together, creating a bond through music. Since 1983, Pakachoag has introduced hundreds of children and parent to the joys of music-making and the powerful benefits of having music in their lives through Music Together. Today, it’s common for us to only listen to music rather than create it ourselves. But actively making music is so important for children’s music and overall development. That’s why Pakachoag’s Music Together program has never been more essential. Young children learn best through active exploration and live, meaningful interaction with the grownups they love. Music Together let’s us take out the earbuds and pick up the instrument we were all given at birth—ourselves! MT classes are based on the recognition that all children are musical. Our classes are for children aged birth through 5; and ages 5 to 8 years for MT Big Kids or MT Rhythm Kids. MT Rhythm Kids and MT Big Kids follow through on the Music Together® vision to help children complete the pathway of early childhood music development from birth through age eight. Each of Music Together’s nine song collections contains 25 songs. 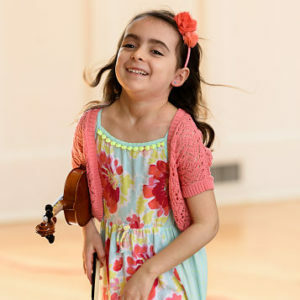 The songs are unique, not only for their wide variety of tonalities, meters, and musical styles but also for their outstanding arrangements—which appeal to both children and their grownups. Music is a universal language. It transcends boundaries and has the power to bond people the world around. It reaches beyond culture and language to touch the depths of our souls, express our common emotions, and inspire us all. Now serving 2,500 communities in over 40 countries, Music Together’s internationally recognized early childhood music programs support this natural bonding experience. We connect families and communities across the globe as they express and explore the basic human instinct for making music. Why Music Music Together® at Pakachoag? As a music school with more than 30 years of experience in teaching music to students of all ages, Pakachoag is in a unique position to offer this program as an extension of our musical instruction programs. Our experience in music educations means that our Music Together instructors are carefully selected to ensure that they will bring your child the most the Music Together program has to offer. We believe in Music for Life, your entire life, so it’s never too early to start. Yes! Check out this quick video. Studies have suggested that infants have remarkably sophisticated music responses beginning at birth; they are “wired for sound.” They may recognize songs, move their arms and legs in response to music, or even coo in the tonality of a song—and as their bodies and nervous systems mature, they will show progressively more complex musical responses. 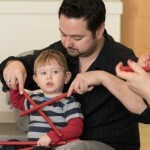 Infants actively absorb what they are seeing, hearing, and feeling; parents will learn to recognize and support their child’s musical responses. 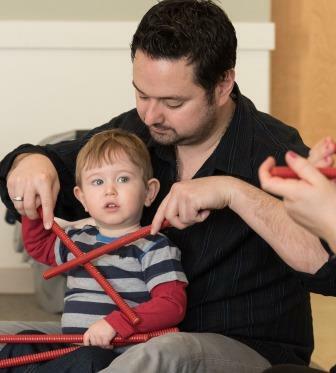 It is never too early for a child to begin Music Together classes, and it can be particularly delightful to share in a child’s music development from infancy; parents will treasure the musical bond they share with their growing child. 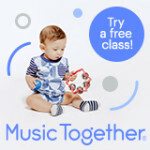 Pakachoag’s Music Together ® Program offers four class choices in several locations. Digital access code for online music access to each session’s song collection. ‘New families receive the booklet Music and Your Child, a guide for parents and caregivers. Fall Session – 10 weeks running from roughly the third week of September to early December. Winter Session – 9 weeks running early January through mid-March. Spring Session – 10 weeks running late March/early April to early/mid June. Music Together art & logo design © 1992-2019 Music Together LLC. Music Together is a registered trademark. Bringing Harmony Home is a registered trademark. Pakachoag Music School of Greater Worcester is licensed by Music Together LLC.